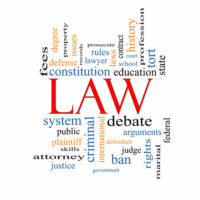 Is The Broward County, FL Drug Court Program Right For You? Since its inception in 1991, the Broward County Drug Court Treatment Program has been a positive force in handling certain types of drug crimes cases. The program recognizes that perpetrators of these offenses may often suffer from addiction, and that they may be less likely to fall victim to recidivism by getting treatment instead of enduring criminal punishment. There is some evidence that supports this phenomenon, as some sources report that recidivism is less than four percent for people who complete the Drug Court program. Still, Drug Court is not for everyone. There are eligibility issues that may prevent you from qualifying; in addition, you may find the strict rules too oppressive or inconvenient. Therefore, you should discuss your questions and concerns with a Broward County drug crimes defense lawyer, and read on for some general information about the program. The intent of the Drug Court Treatment Division is to provide an alternative to incarceration for drug crimes defendants who suffer from substance abuse and related condition. Judges oversee the program through court hearings to monitor your progress and ensure that you are complying with the rules established by the Drug Court. If you adhere to court regulations and treatment requirements for the one-year minimum duration of the program, you can avoid criminal sanctions; even better, you may be able to overcome addiction. Pre-Trial Intervention: This program is a means of diversion from the jail time that would otherwise apply to a first-time, non-violent offender charged with buying or possessing a controlled substance. Successful completing of the program requirements can mean full dismissal of the criminal charges. Post-Adjudicatory Program: Individuals who have a prior conviction on drug charges may be eligible under a separate program, which is intended to keep them from returning to prison. Though both programs are voluntary, you must still meet eligibility requirements if you choose to go through Drug Court rather than do to prison. The minimum age to participate is 18 years old and you must have been arrested for a qualifying drug offense under Florida law, among other rules. If you have questions or want to know more about whether Broward County Drug Court is right for you, please contact Fort Lauderdale criminal defense attorney Kevin J. Kulik to schedule a free consultation. Drug Court is not suitable for all individuals facing drug crimes in Florida, so you may benefit from hearing more about the pros and cons. You may also want to hear about additional legal options in a drug crimes case.